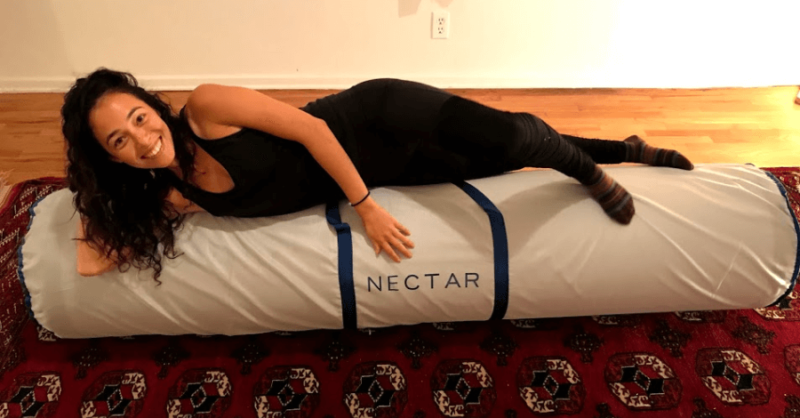 We love Nectar's affordability, soft but supportive mattress design, and very generous sleep trial and warranty; but it would be remiss of us to ignore bad press and transparency issues. Read full details. What’s in a Nectar Mattress? What Can Be Used with the Nectar Mattress? What’s the Weight Capacity of the Nectar Mattress? 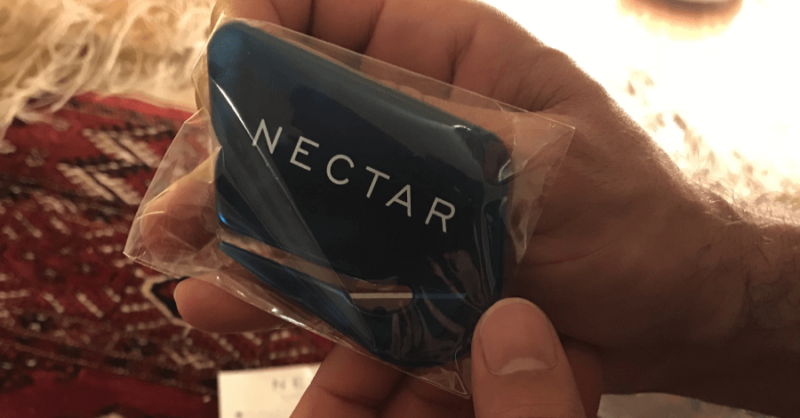 Does Nectar Offer a Sleep Trial, Return Policy and Warranty? Let’s get this out of the way: Nectar, like Casper and Purple, has had its share of negative publicity along with its quick rise to the top. We’ll talk about the bad press and common Nectar mattress complaints later on. California-based Nectar maintains that they are 100% employee owned. Among their staff are industry veterans that have been involved in memory foam mattress development the last decade and a half! Their mattress is said to be the result of the combined experiences and expertise of these people. The Nectar mattress is one of those “one mattress fits all” designs. It comes with a few of proprietary or specialty materials, too. This is reminiscent of what many of Nectar’s competitors lean into as a selling point. What makes the Nectar mattress unique? They say that they have the “world’s most comfortable” mattress! Let’s find out more about it below. What Is the Nectar Mattress Cover Made of? The fabric that is used all over is a specially milled long staple cotton blended with something called Tencel fibers. Nectar also notes that this part of the mattress has an aloe based cooling layer. Design-wise, the cover is monochrome for the most part, but it does have a blue trim at the edges. It’s also quilted and embroidered. Our favorite part? The Nectar mattress cover is fully removable. This means that you can unzip and spot clean the cover anytime. We do need to point out, though, that it is not deemed machine washable. Nectar does not recommend dry cleaning, either. Tencel fibers come from wood cellulose. The material is environmentally friendly, sustainable and skin-friendly. This material is made by Austrian company Lenzing Fibers. Fabric made from Tencel features exceptional but natural softness and smoothness. It’s also absorbent and breathable, cooling and very hygienic. Tencel can also have flame retardant properties. The Nectar mattress interior is composed of four separate layers of special foam, including the patented Lush Foam. Note that the topmost layer is quilted directly into the mattress cover. 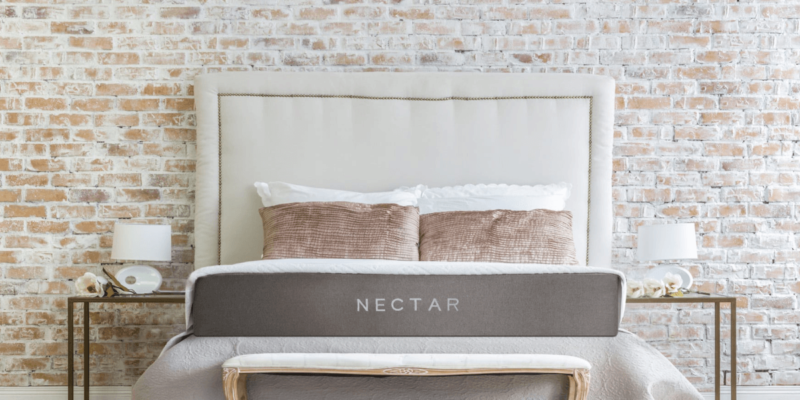 Though three of the four layers are made of varied memory foam, Nectar’s main product is said to be firmer and a little bouncier than other memory foam mattresses. All foams used are approved by CertiPUR-US, and the main textile used is certified by OEKO-TEX. Let’s take a closer look. 1 inch of 4.0 PCF Lush Foam. This is the part that’s sewn into the top of the mattress cover. It measures one inch before it’s quilted. The layer provides comfort, cooling and initial pressure relief. 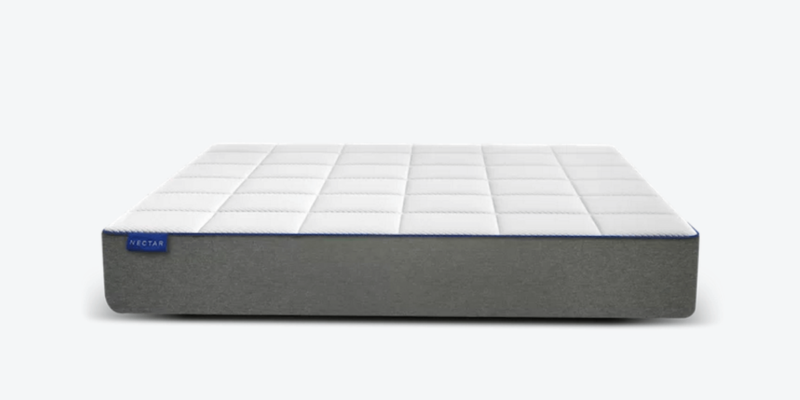 The Lush foam helps the mattress contour to your body shape without sacrificing breathability or support. 3 inches of 3.5 PCF Lush Foam. Together with the mattress cover, this layer provides all of the benefits of high quality memory foam with none of the usual complaints. Contour and conformity of the material comes with adequate support. Not much bounce here, and great weight distribution. There’s also low heat and motion transfer. 1.75 inches of adaptive Hi Core memory foam. Very dense and heavy, this thin layer dramatically increases pressure relief. It also aids in the response and recovery of the material when it comes to weight and motion. This acts as a good transition from Lush Foam to the bottom base material, too. 5.25 inches of 2.2 PCF high density support foam. Though not the thickest around, it is one of the densest foundational foams. It beats even the flagship GhostBed‘s already exceptional 2.0 PCF base layer. Most foundational foams hover around 1.8 PCF. In general, higher density translates to an increase in expected durability, longevity and stability. Deep compression support and reinforcement of contour provided by upper layers are also a plus. Nectar claims that this dense bottom is also very breathable. It is a premium and proprietary gel memory foam. The material features medical grade recovery and cooling levels, too. As we have seen above, it is one of the main components of the flagship Nectar mattress. It is the material that provides the the initial feel of this “world’s most comfortable” mattress. Can You Customize the Nectar Mattress? The Nectar mattress is available in six standard US mattress sizes: twin, twin XL, full, queen, king and California king. Choosing the size is the most customization you’re going to get, as it is a singular mattress design meant to simulate universal comfort. First things first: The company markets the product as an 11-inch mattress, but one of those inches is quilted in and therefore compresses. The result? A mattress height or thickness that may sit somewhere between 10 and 11 inches. Like many of its industry counterparts, Nectar offers free shipping and handling within the US, as long as it’s in the lower 48. Orders that need to be shipped to Alaska, Hawaii and other US territories will come with additional fees. What Can Be Used with Nectar Mattress? The official website claims that the Nectar mattress works with every single bed support type: adjustable bases, box springs, divans, frames, platforms, and the floor. The very last option concerned us. Why? In the publicized Forever Warranty the company offers, it specifically states that you must use “a platform . . . or other suitable bed frame”. Again we turned to Nectar’s customer support, and they happily cleared thing up for us. Their reply: “You can lay Nectar directly on the floor and it will not void the warranty.” However, the company does not recommend doing this—nor does it recommend homemade foundations or plastic bases. Good to know! Nectar customer support also specifies that adjustable bases are appropriate, as long as they’re not split style. Slatted bases must have slats no more than one and a half inches apart. 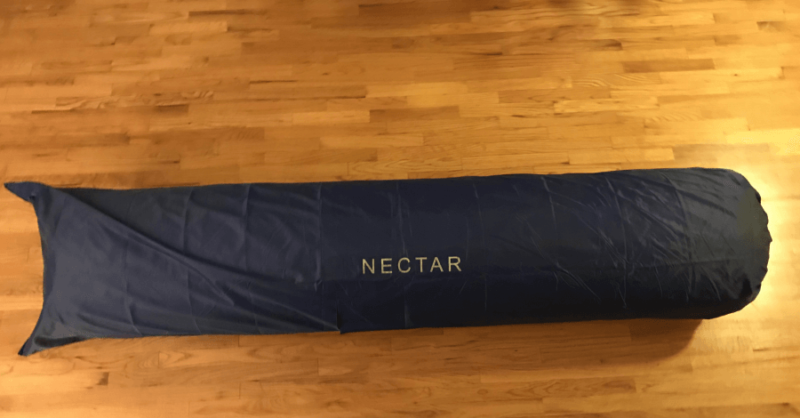 How Do You Set Up the Nectar Mattress? They also offer a white glove delivery service that has people set up the new mattress for you upon delivery. They may also handle the removal of your old one. We should note that older online customer feedback features a number of complaints about never having received this service despite ticking the box before checkout. Unlike the typical bed-in-a-box product, the Nectar mattress doesn’t actually come in a box. 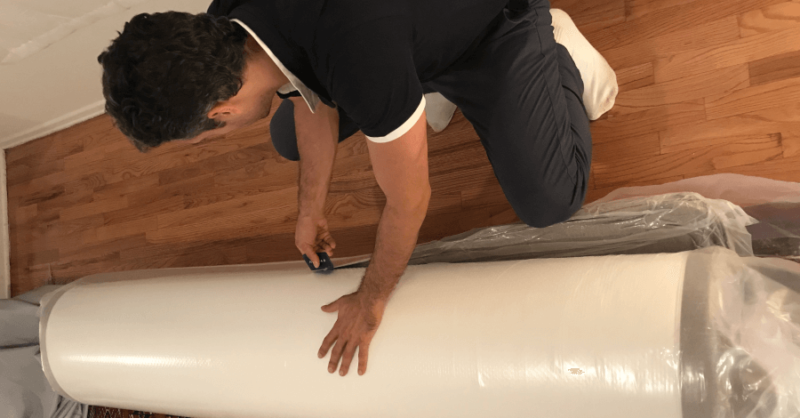 The rolled, plastic packing material-protected and compressed mattress comes in a bag with handles for easy transport and mobility. It’s very similar to Purple‘s way of packaging their flagship mattress. You simply take it out of the bag, place it on your bed base, and unroll. As soon as you remove the plastic and straighten out the mattress, it will start to expand. There may be a “new mattress smell”, which will eventually dissipate in a few hours or days. If you are particularly sensitive to the odor, you may want to leave the mattress in a heavily ventilated spare room to air it out properly. Should you get the the free memory foam pillows that Nectar sometimes bundles into the purchase, note that these may off gas a little, as well. You might be thinking: “Why ask their customer support team yet again?” In our initial research, we found that the weight capacity of the Nectar mattress is not explicitly mentioned anywhere on their official website. Upon contacting Nectar, we cleared this up in a matter of days. Also worth noting that the Nectar mattress is very dense, which is likely an indicator of a more than reasonable weight limit. How Does Nectar Mattress Feel? As previously noted, the Nectar mattress is one of those “one mattress fits all” models. This means that there will always be comments of the “Goldilocks” kind: too soft, too firm, not what was expected. That’s par for the course when it comes to these new e-commerce mattress startup products. If you are used to innerspring or latex mattresses, the Nectar mattress may be too soft for you. 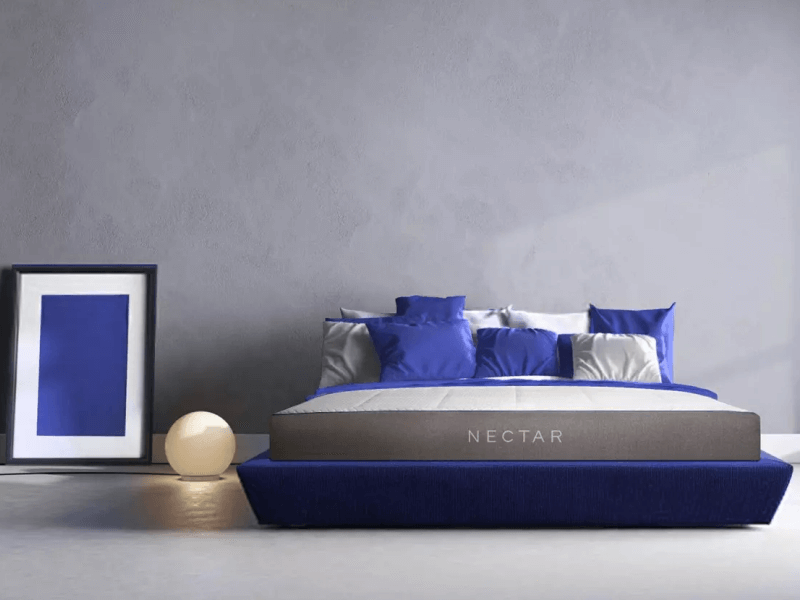 If you are a huge fan of the traditional memory foam mattress, the Nectar mattress may be a little firm. Overall, though, it seems that this is a subject that not many customers complain about. Additionally, the cooling aspect does seem to be the one thing everyone can agree on as working as advertised. What Are Some Common Nectar Mattress Complaints? First things first: common complaints aren’t always up to date. If you come across a very negative review of anything, always check when it was posted! Brands can improve or deteriorate dramatically in over months or years. Keeping that in mind, below are several prevalent grievances we’ve seen about Nectar and its flagship mattress. Nectar’s main problem was its poor handling of customer service in the early days of the brand. It was further complicated by major shipping and delivery delays early in 2017. This includes handling returns. However, please notice that we used “was”! Bad press isn’t final. Nectar worked hard to correct their inefficiencies. 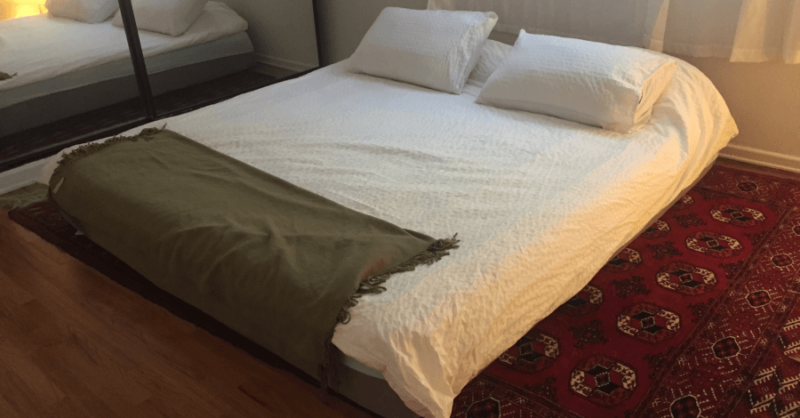 By the time we reviewed their flagship mattress—as you’ll read below, this is a product that we got to test ourselves—we didn’t experience any delays or shipping problems at all. That said, there were other things that bothered us initially, even though they were not deal breakers. Back in 2017, the amount of information that we couldn’t easily find on Nectar’s official website was worrisome. Most industry counterparts are transparent when it comes to their founding, origins, launch date, and where and how they source materials and assemble products. Originally, we didn’t see this kind of transparency with Nectar. Customer support was also not excellent, though still helpful. The proof: Look at how many times we needed to check with Nectar’s customer support to clear up very basic details about their mattress! In a few short months, though, we’ve seen a lot of improvement. We periodically go through our reviews to make sure everything is still factual and up to date, and when we did this with the Nectar mattress, we noticed huge changes in the way they handle customer support. You can read all about it in the section below. Truthfully, the promise is high but the potential for a purchase to be completely satisfactory could go either way. This is not solely based on the almost overwhelmingly negative online feedback the company got early in 2017. The way they handled the months-long shipping delays their customers experienced seems to be a thing of the past. Why are we wary? Simple: We’ve read about many bad customer experiences, but personally didn’t encounter many problems with the Nectar mattress. We don’t want to dismiss valid customer feedback as that would be disingenuous, but we also can’t discount the fact that most of them don’t jive with our personal assessment. How Is Nectar’s Customer Support? Customer support, or the lack thereof, is what’s usually mentioned in the product’s negative customer-written reviews. However, Nectar’s customer support offerings have improved dramatically over the past year. For example: Even with the shipping delay fiasco firmly behind them, Nectar’s customer support options were limited when we first reviewed them last year. Their contact information was hard to find. We went to their Facebook page to find their email address! It took them one day to respond through Facebook messenger, and two days via email. A year later, all the contact information is displayed prominently. There’s even a live chat option now! Nectar’s FAQ is well organized and extensive, too. Nectar offers a Forever Warranty; plus an amazing 365-night sleep trial with an accompanying return policy that promises a full refund. The Forever Warranty feels like more of a branding tactic than an actual definition of the mattress warranty you do get. Read the fine print before making a decision! Note that the warranty, like many others like it, does not cover normal wear and tear or even accidents. It only covers defects, which—with daily use, especially—you will probably notice and feel within the first 10 years, at which point you can have it replaced by the company. Past the first 10 years, you may have it repaired; or you may keep it and get a brand new Nectar mattress for half the cost. The 365-night sleep trial is one of the longest in the industry, and comes with all the bells and whistles. You can contact Nectar’s support team to arrange a return, and they’ll take care of everything else. Nectar says you will be refunded 100% on the day the mattress is picked up. The company claims that less than 3% of their customers end up returning their mattresses—although this may not include the flurry of canceled orders from March to July 2017. Due to the long and unexpected wait, many chose to ask for a refund before actually receiving the product. Returns are said to be difficult. However, overwhelmingly positive feedback regarding this—usually dating before or way after the back-order issue—does exist. It may be that Nectar experienced a huge surge in orders and didn’t anticipate it well. Whatever the case may be, we’ll have to recommend everyone to be cautious when it comes to this part. If you decide to go with a Nectar mattress, do establish communication lines quickly and make sure that the company responds. That’s what we did, and it’s been great so far. As of this writing, the queen-sized Nectar mattress is listed at $824. Actually, if you purchase it right now it’s only $699 with an ongoing discount, with two pillows added to the package. Note that the current promotion may end by the time you read this review, and prices may change slightly. Test Your Nectar Mattress for Free! Here at Good Night’s Rest, our goal is to put together all the important information about a product. We present them in a logical and easy to digest review format. We look at official press releases, customer reviews, and contact product makers for clarifications. Sometimes, the Good Night’s Rest team is lucky enough to test the products we review! That’s when we’re confident enough to include what we call a team verdict, which reflects personal experience, rather than accumulated research. This section contains the personal Nectar review of Benjamin; who tested the mattress with his girlfriend and Good Night’s Rest team member, Maia. We absolutely love our Nectar Mattress! Having recently moved in together, we were sleeping on a spring mattress and movement transfer was a big issue. We kept waking each other up in the middle of the night. Nectar has completely solved that issue. Movement transfer on the Nectar mattress is virtually zero. I wake up earlier than my girlfriend and she doesn’t even know I’m gone. Regarding heat transfer: The mattress is warmer than a spring mattress, but we like it! The mattress has a great balance of support and softness. It is 11 inches thick, as advertised. The top layer molds nicely to your body while the bottom layers provide more firm support. Edge support is fantastic. I was concerned we would not be able use the whole bed and would roll off the bed when too close to the edges, but that’s not the case. I was also surprised to see that we could stand on the bed without sinking very much. The different layers explained on the website that are used to make the mattress seem to provide for quality construction. Nectar is a bit softer than other foam mattresses which we’ve tried which was a big plus. Opening the package was pretty easy. It will take two people to move the mattress in place, but after it’s where you want it, the unwrapping process was super simple. They even include a packaging opener for you. The mattress did off gas a slight odor, which was explained in the instructions. They claim it’s non-toxic. The smell stayed for over a week, but that could be because we didn’t let it air out as instructed as we were eager to use the bed on the first night. Extra bonuses: They include two memory foam pillows. That mattress cover can also be cleaned easily! This was a great find and purchase. Very happy with it! Visit Nectar Sleep & Find Mattress Deals Now! We can’t outright recommend this mattress with 100% confidence, despite our team’s very positive experience. Don’t get us wrong. We do think that the mattress design is good. We appreciate the use of gel memory foam, especially the quilted-in layer that adds to the lush and plush feel of the mattress. It’s really comfortable! We don’t mind if the mattress is made in China—some components are purportedly sourced from the Asian country. Nectar assures us that everything is certified by Certipur-US and Oeko-Tex, anyway. But did we have to reach out and clarify basic details with the Nectar support team? Fire retardant measures, warranty conditions, and weight capacity are all things that could be addressed in a well-written FAQ. We love that their response was friendly and helpful, though. We understand that it’s difficult to bounce back from overwhelmingly negative press. We do feel that Nectar is doing the best that it can. Also, we do really love the Nectar mattress! However, we also feel that it’s important to not completely rule out the chance of a back-order situation or an bout of unresponsive customer service happening again. If you are not under time pressure, then trying out Nectar is risk-free and a good idea. However, if you need a mattress in a hurry, it’s best to proceed with caution.